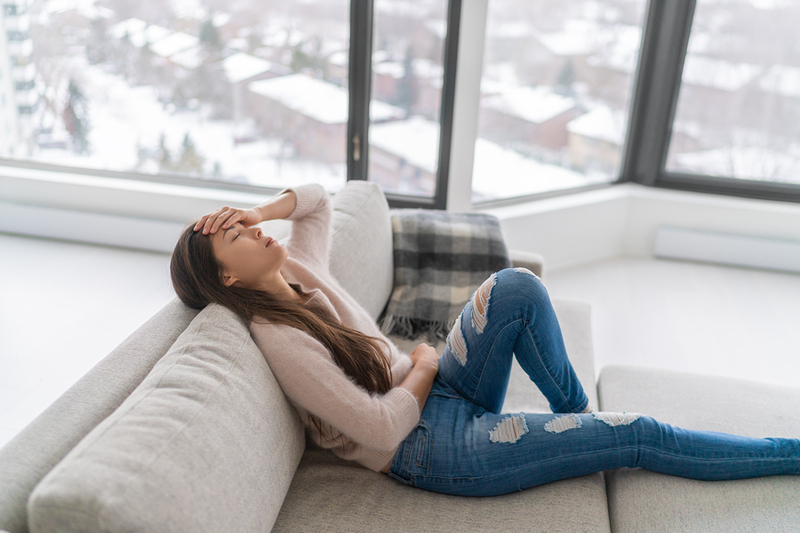 If you have a chronic condition like endometriosis, then your liver is likely sluggish, which means it’s not able to fully complete all its important tasks, including removing toxins, and detoxing estrogen that can feed endo. Instead these factors circulate back in your blood, clog up your lymphatic system, and have cascading impacts on your thyroid, adrenals and ovaries. You may find that you’re consistently getting cysts on your ovaries. What slows your liver down? I learned more about the almighty liver and how to support it after reading Anthony William’s book, Liver Rescue. I came away with enlightening information about what can slow your liver down. One of your liver’s jobs is to protect you from toxic threats in your blood stream. Your liver uses its power to fend off and dispose of these toxic factors as part of its screening and filtering process. And as a last resort they’re released loose into your blood stream, where they then become free radicals. Your liver also has the ability to bury the most toxic factors such as solvents and pesticides in its core. To help avoid extra burden on your liver it’s a good idea to eliminate as many toxins as you can from your environment. Choose natural products as often as possible. Pay attention to what you put on your skin (I love 100% Pure) and the cleaning products you use in your home. Remember that all those chemicals have to be processed by your liver. If it’s sluggish and unable to fully do it’s job, then those toxins end up back in your blood, absorbed by your organs, and fuel for endo growth. Excessive use of pharmaceuticals and other over-the-counter pain relievers like NSAID’s put a burden on your liver. The good news is there are many natural options to help relieve pain and other symptoms of endo. Check out my free guide with 25 natural pain relief strategies here. Chronic dehydration puts further strain on your liver. According to William in Liver Rescue, most people are chronically dehydrated and living with “dirty blood”. Without enough hydration your liver struggles to release what it needs to. Try and start your day with at least 30 ounces of lemon water. This is a great way to hydrate first thing in the morning and release toxins and waste from your liver’s work the night before. You can also stay hydrated with the foods that you eat. Add in organic fruits and vegetables throughout your day. William says that animal protein is super dehydrating. So are caffeine sources like coffee, soda or tea. Try and limit intake of these dehydrating factors. The Epstein Barr Virus (EBV) loves to live in your liver because it feeds on heavy metals and toxins. EBV releases a viral byproduct that wears out your liver and slows things down. One of your liver’s primary duties is to process fat. Whenever you eat fat (even healthy fats) your liver releases bile to break it down for your body to use as an energy source. You don’t want your liver to have to repeatedly raise bile because that takes it away from its other important duties and eventually, over time, it slows your liver down. So, give your liver a break and avoid overdoing fat and protein. When your body or mind is stressed then your adrenals release the hormone adrenaline. Too much adrenaline can overload your liver’s ability to perform its everyday responsibilities. It also serves as fuel for EBV. Do what you can to reduce stress and remember the power of your breath. Deep breathing stops the stress response and release of adrenaline. Also it’s a good idea to limit caffeine intake, which raises adrenaline levels. I think most of us know this one. Alcohol puts a big burden on your liver. It’s not able to perform well when it’s being inundated with it, and it becomes starved of nutrients. Alcohol can have negative impacts with endometriosis. I’ve certainly felt them! I bet you have too. It’s really best to stay away from it. In addition to addressing these seven factors that can slow your liver down, it’s also a good idea to add in foods that support your liver and avoid those that don’t. While I try and do this on a consistent basis, I’m making sure to do so over the next nine days as I embark on the 3:6:9 Liver Cleanse outlined in Anthony William’s Liver Rescue. Have you read it yet? Have you tried the cleanse? Drop me a comment below if you have. I’d love to know your experience. I’m going to be documenting my first round of the 3:6:9 Liver Cleanse on my YouTube channel here. Subscribe to my channel to follow along or to join me! Or you can get updates via email. Sign up to follow or join the liver cleanse with me here.